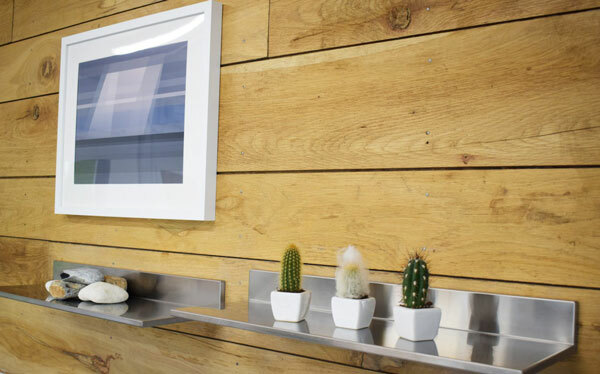 Going ‘green’ doesn’t mean compromising your aesthetics when designing your office space. Sustainable office design reduces running costs, is better for the environment and improves productivity due to a happier and healthier workforce. Energy efficiency is one of the top priorities when designing a sustainable office, with the aim to reduce energy consumption, waste and thus running costs, as much as possible. One of the most obvious changes to make is replacing traditional light sources with energy saving light bulbs and LED panels which dramatically decrease electricity consumption. In addition, access to natural light if available provides a healthier working environment whilst minimising energy use. Exposure to sunlight and the outdoors have been proven to have mental health benefits — which in turn help to keep employees performing at their best. Open plan office designs with large windows are key but not always an option. With artificial light, dimming systems ensure that the right amount of light is maintained and reduce glare. Occupancy sensors guarantee that lights are in use only when necessary, particularly in corridors or areas such as kitchens and meeting rooms. Instil an energy-saving culture in your workplace to ensure equipment is routinely turned off when not in use; standby or sleep modes can be an unnecessary use of power. Good insulation can also reduce energy consumption by decreasing the amount of heating required. Similarly controlled zones of heating or air conditioning are known to reduce energy use and increase staff productivity. This can be achieved through sensors and controls or be as rudimentary as being able to open/close a door or window. The amount of water being used in a workplace can be minimised through products such as low flush WC, waterless urinals and motion sensor taps. Excessive noise, which can disturb staff, can be reduced by having noisy equipment (like photocopiers and printers) being housed in a separate area away from peoples’ desks. Sound absorbing materials, such as wall coverings and screens, can be also used and even the use of white sound which eliminates background noises. When choosing furniture for an office, thought should be given to choosing items which keep their looks, are durable and maintain their functionality. Modular styles enable easy changes and flexible configurations/additions further down the line. Raised flooring enables cables to be moved or added to straightforwardly. Styles and colours which won’t date quickly help the longevity of an office refurbishment and avoid unnecessary refits. Consider the materials used in furniture too, wooden items, often have a timeless quality and those with FSC (Forest Stewardship Council) certification guarantee that the wood has been sustainably harvested. Thought should even be given to the recyclability or reusability of the packaging that furniture comes in. Another way to make an office eco-friendly and stylish is to install a green wall – living plants grown up the wall with a hydroponics system. In addition to the benefits of improved air quality, a living wall can make a strong statement both visually and in terms of displaying an organisation’s commitment to the environment. If you would like to find out more information on how to create a sustainable office design. Please call us on 01444 474728 0r email info@officechanges.com and we will be more than happy to help. HOW TO INCORPORATE BRANDING INTO YOUR OFFICE DESIGN ARE YOU SITTING COMFORTABLY?